Leave it to the brilliant Crazy Ex-Girlfriend to resurrect a character from its past with a new actor, make jokes about it (not the first time its winked at the audience in its four-season history) and advance the story of Rebecca Bunch (Rachel Bloom). 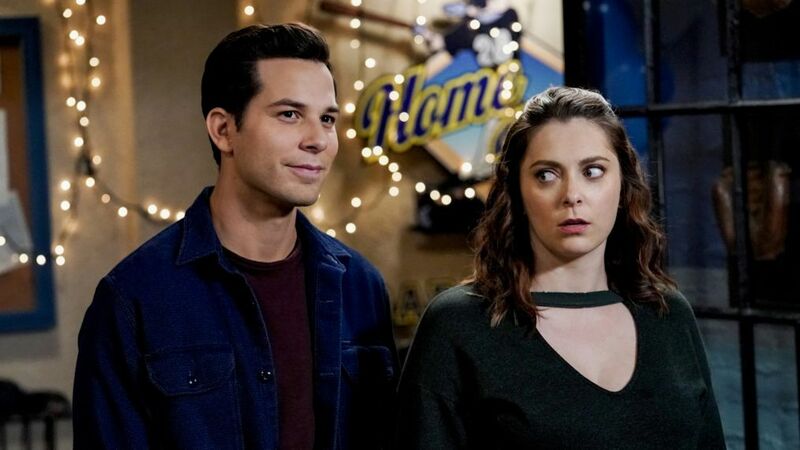 As previously announced earlier this year, Rebecca's former boyfriend Greg — played by Santino Fontana in Seasons 1 and 2 — is returning for the final season, this time played by Skylar Astin (Pitch Perfect, Graves). It's good timing for a potential romantic resurrection as Rebecca has been working on getting her life back on track following her stint in prison. How did Astin get the role? What does this mean for Rebecca's love life? And, finally, is the end game of the series about which guy she ends up (there are more than a few potential choices) or just about her being in a good place emotionally? To find out more about this week's episode, TV Insider spoke with executive producer Aline Brosh McKenna to get more intel. Here's what she had to say about Friday's episode and the series concluding. This episode is very much about the past not just for Rebecca but for everyone. Can you talk about giving several characters a chance to face their ghosts, so to speak? Aline Brosh McKenna: That was intentional since a lot of the characters in the show are seeing things through a different lens, realizing things about themselves they didn't know, or revealing things to the audience that we didn't know. And the high school reunion is a nice opportunity to have an opportunity to look in that rear-view mirror and see if you can you start over. In Rebecca and Greg's case, she sees him completely differently because of who she is now and who he is now, so the episode is about how things have seemed and then how things seem. In the episode, Rebecca says that Greg hasn't been around since Season 2 and we haven't really mentioned him much, which is a great wink to the audience. Who kept the Greg-light alive and wanted to see him come back? You? Rachel? We both did. We had intended to keep the Greg character around after they broke up and to have him realize that he was an alcoholic, go to therapy and all that. We did that much more quickly than we would have ordinarily because of Santino's schedule and him wanting to go back to New York. Rachel and I had planned to explore that character more and in the break between Seasons 3 and 4, we started to realize that we could. Also, that we could tell some of those stories that we had wanted to tell and hadn't got the chance to tell. That was really exciting, and really was very freeing. The way it got exciting for us was to do it with a different actor and do it through the lens of our show, which is he seems completely different to her. And because it's a first-person show and it's very much about how this one character perceives the world, it seemed in keeping with how we would bring a character back. So we got excited about that. Rachel started writing that song [in the episode] as soon as we made the decision. It was really fun because we had always wanted to continue exploring their relationship and what a cool opportunity to do it after all this time has gone by. Skylar's such a great choice because he can sing, he can act, he looks great. How did he come into the picture? We were all fans of his and we’ve played his videos in the writers room many times. Also, he went to college with Rachel and had done a series with Rene Gube [Ground Floor on TBS], who's one of our writer-producers. We decided he was far and away our first choice and we decided to take a swing and we were lucky enough that he said "yes." He and Rachel have a really nice chemistry, which you see right from the get-go. It only builds from there! There's definitely some history with Rebecca and Greg, including the fact that Rebecca slept with his father. Does that come back into play in these episodes? Yes, it's a lot for him to get over just in terms of even being friends with her... so he has to deal with the fallout of that. Marco's in a different place, too, so everybody's in a slightly different place. But yes, that's not an easy thing to get over. Rebecca questions her feelings for Josh (Vincent Rodriguez III) and Nate (Scott Michael Foster) and now Greg is back. Since we are heading towards the finale, will this be more about who Rebecca ends up with or is it about Rebecca just being in a good place herself? It's absolutely both. Who are these men? What do they mean to her? What have those relationships meant to her? Is one of them the person she's meant to be with? What really makes her happy in life? What is the thing that's going to make her truly happy? That’s something that the show has always explored — what will make Rebecca happy? She continues to explore that. Romance is part of it but there are many other components to what makes her a potentially happy person. Valencia also confronts a part of her past in the episode and I loved that it’s with a man when she’s now with a woman. It was really wonderful to give Gabrielle Ruiz a showcase in this episode and I think that Vella Lovell is just absolutely brilliant as the s**t-stirrer in that episode. And special shout out to our special effects guys who got those glasses to stop dead on the bar, which is a lot harder than it looks. [Editor's Note: That nod to the special effects guys will make more sense once you see the episode.] Doing a caper-y story with those two women was really a lot of fun. Crazy Ex-Girlfriend, Fridays, 9/8c, CW.